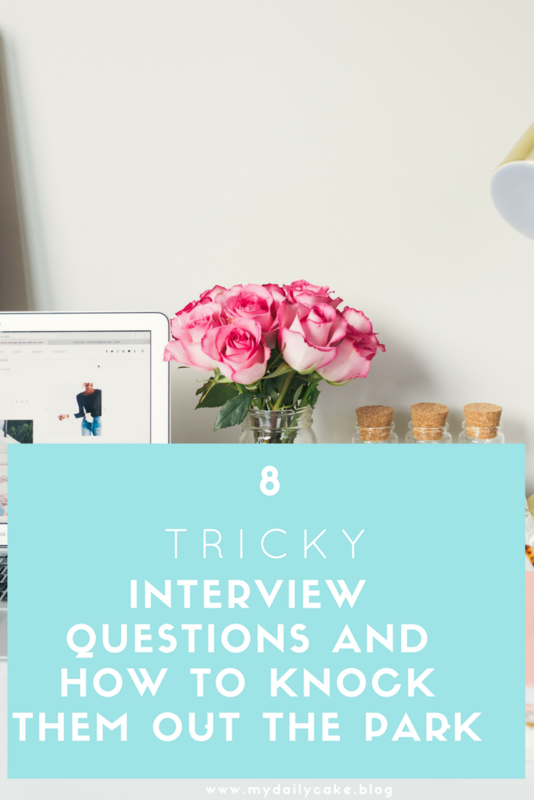 Job Interviews can be nerve-wracking and tricky interview questions can make one nervous. Having a solid CV and a decent LinkedIn Profile is what got you the interview, now you need to ace the interview. You do need to allow your unique personality to shine in the interview. However, it will be in your best interest to prepare for some of the more trickier questions. You need to show the interviewer that you are a self-aware person. Also, think about what you share in the context of the job. If it’s a finance job, and attention to detail is paramount, don’t share that as a weakness(although should you be applying if it is?). Do this: Confess the weakness. Then add a Recovery – how you are turning the weakness around. Say something along the lines of: “I can be impatient at times, and I press for results quick. I come across as impatient as I like to get things done quickly. However, once I received the feedback, I have learned that different people work in different ways and may not have the same priority I have. I am now much more open to understanding where others are coming from“. See, a weakness that is also a strength in disguise. Be very specific. Pick a strength that is highly relevant to the job and company. Describe it regarding a behavioural trait and share an example of you have used this strength to impact your work environment positively. 3. Why are you leaving your current company/ role? Firstly do not bad mouth your previous employer. Irrespective of what happened, you don’t want to bring negative energy into the room. And besides, you will come across as a negative person. Instead, focus on the opportunity you want now. Don’t Say: I hate my boss/ company. 4. Why do you want this role? Anchor the answer to this question in your research. Remember, you must research the company and the job beforehand. Focus on the key deliverables and requirements of the job, and map your own experiences against this. Don’t Say: Well, the job looks fascinating. You need to link what you have read to what value you could bring to the company. Be sincere. 5. How do you deal with pressure in your current job? Use this as an opportunity to showcase your drive and how you organise yourself (and others). Don’t say: I just cannot cope well with pressure. Share an example demonstrating how you dealt with a stressful time at work. 6. Tell me a bit about yourself? Don’t ramble on about your whole life story, the hiring manager already as your CV. Again, very important to show your relatable side. Don’t be too casual though. Do share something a bit meatier; it is an interview after all. Share things such as ‘I am an avid reader’ or ‘I run/garden’ and why those things make you tick. 8. Do you prefer to work in a team or by yourself? Be careful of this one, because it depends on the job situation. However, even if the job calls for either one of these, you need to be able to express that you are okay in both cases. Don’t say: I prefer working by myself, people just get in the way of getting things done. Go ahead and share an example of where you had to work in a team and when you had to work by yourself and the results of each. As you can see, attending an interview does require preparation. However, it does not need to be daunting. Herewith a nifty infographic with six steps to take an interview to help you prepare for any interview. Share this post with a friend who needs it! Was contacted by a recruiter who asked me question 3, I had a little bit of time to email my response because I couldn’t really talk but i went with a similar response. That is nice that you got to email it! I always feel when physically in an interview, i cannot think of anything. Great tips….I too have faced many of these questions during my mba interview…..Wished i would have known these back then…. These are excellent tips and answers that are sure to catch the interest of any interviewer. As you mentioned self-awareness is an essential quality for a team player.